A thieving beauty. A glass rose. A monstrous curse. Among the glittering masks of Venice, is anything quite what it seems? Faustina is a beauty and a thief, not necessarily in that order. She doesn’t believe in magic, just luck, and hers has run out. The last thing she needs is to get roped into a ridiculous revenge plot by her brother—especially when that brother is Giacomo Casanova, Venice’s most notorious libertine. Benedetto Bellini has never been particularly lucky. The fact that he’s under a beastly curse proves that. Now he’s got a second problem, one that’s washed up on his island in its undergarments and attempted to steal his silverware. He finds Faustina intriguing and infuriating in equal measure. And, thanks to the curse, he’s stuck with her. The name “Faustina” can’t possibly be by chance. That was the first thing I thought of when reading. Foreshadowing? Perhaps. Now, I love the absolute beginning of the novel. It’s so deep, such an amazing connection, and… unfortunately, it seems lost in the background for the majority of the book. What I do enjoy is that Faustina is not the type of girl to just do something because she’s told, or to follow the heeding of any man. While she might nod and smile, she has purpose to keep herself safe. Benedetto, unfortunately, seems to be far closer to someone who has always been a hermit. He lacks confidence and it’s rather unbecoming. The setting and addition of Casanova were interesting. The take on the rose was two fold and I thought well done. Wasn’t particularly pleased with the Deus ex Machina at the ed, but perhaps it was in part because I had already thought it might be the case before it was revealed. I feel that this story was different enough from the original that it really could make a niche of its own without using the Beauty and the Beast theme. I would read another novel by the same author. 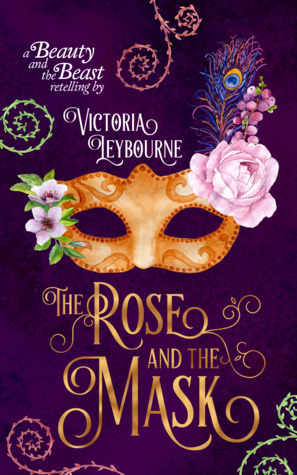 Victoria Leybourne is an author, blogger and tea-drinker who was born in England but grew up on the internet. 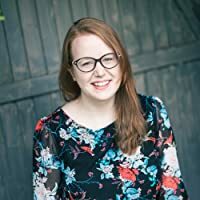 When she’s not writing, you can usually find her vigorously making excuses for not writing while watching animated movies, belting out showtunes and/or attempting to pet every cat within a three-mile radius. You can learn more than you are likely to want to know about Victoria by visiting her blog, oppositeofpopular.com, where she exaggerates for comic effect and hopes one day to amass a small following of regular readers who will let her call them OOPsies. You can also follow her on Twitter, where she goes by @fluxcapacitory.